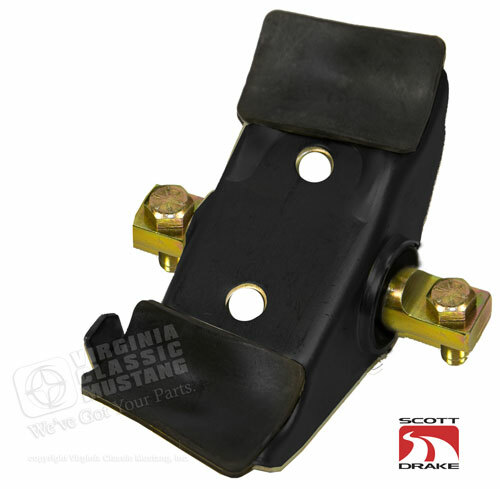 Now available from Scott Drake, these 1964.5-73 Mustang High Performance Coil Spring Perches offer a very affordable upgrade to stock spring perches with rubber bushings. These are made with synthetic elastomer bushings which are similar to polyurethane in performance and longevity, but will not squeak like polyurethane. The perch can rotate 360 degrees on the shaft, which allows the front suspension to articulate freely. This feature also eases the installation of the coil spring. Zerk grease fittings are installed and locking nuts are included.